What is included in Zomeo Free Trial? The 30 days FREE TRIAL of Zomeo is a fully functional, complete data repertory software. 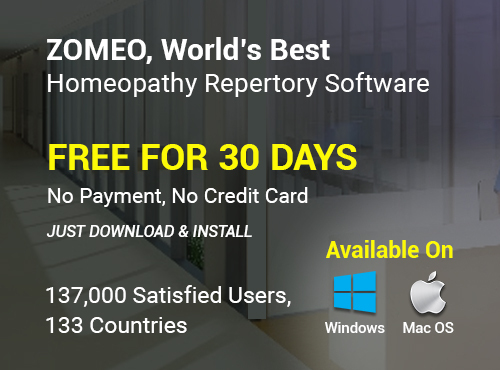 You can create unlimited patient files, unlimited repertorisation sheets, unlimited prescriptions and access full set of homeopathic data. What more is in it for you? Accurate & authentic repertories and reference books. Most powerful features.